The Ivory Foundation aims to contribute to capacity building of the most vulnerable populations. The objective is to promote the learning of sustainable farming methods, and secure supply of vegetables in each family of the fragile communities. Therefore, it is important to educate the young ones to a healthy and balanced diet that takes advantage of local resources, as well as teach them environmentally friendly practices of culture. Undernourishment affects 1 in 4 in sub-Saharan Africa, (The State of Food Insecurity in the World, FAO, 2015). According to the World Food Programme, in Africa, 23 million children go to school hungry. Among the causes of malnutrition, especially in Africa, WFP places particular emphasis on: poverty and unemployment, but also: limited access to land, loss of soil productivity, high food prices and technological backwardness (specially the irrigation systems) combined with low rainfall. Soil degradation (salinization, agrochemical pollution, erosion, soil depletion caused by overgrazing and deforestation …) contributes significantly to reduce fertility and represents a serious threat to food production and rural livelihoods, especially in poor regions with high population. Most of the youth in developing countries turn away from agricultural activities, often associated with a miserable way of life, even though the self-production of food could be an effective way to increase living standards. The standardization of eating habits around the world has led to a lack of interest in local edible varieties. The promotion of such resources could provide significant and inexpensive dietary supplements as well as a balanced diet. 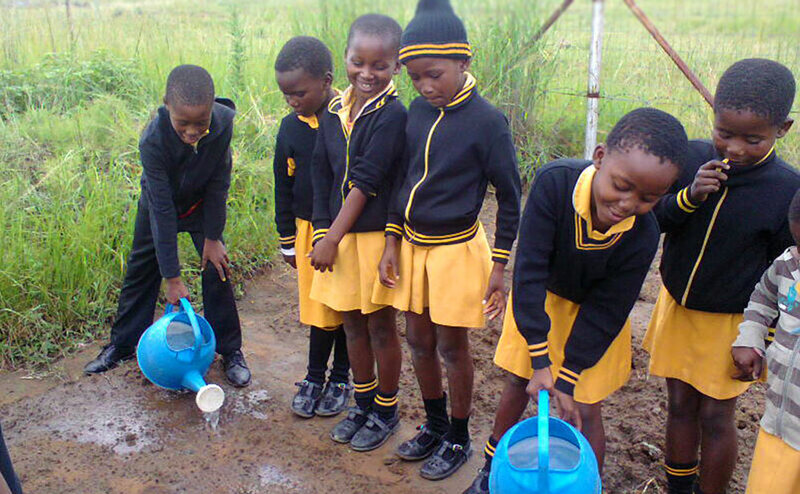 The implementation of educational gardens, within partner schools, aims to teach children how to maintain a garden using sustainable farming methods such as permaculture. They also learn to recognize the seeds, prepare the seedlings and plant. They are also encouraged to eat more vegetables and thus varying their diet and make it more balanced. By teaching these principles through the pedagogical gardens, the Ivory Foundation wishes to contribute to capacity building of several vulnerable communities. Maintenance of gardens by children.